This is the new residence for YOUR PROFILE. Your contact information; membership renewal date, status and invoicing; SEJ membership category and more are all here. Networking will be easier than ever, with simple, effective searches; messaging to fellow SEJers; connections (think friend) and more. So you can do more than before, or you can just chill, update your profile and renew as needed, with much less effort. Please look around and get to know your new site. And check back often to see what programs SEJ has on the calendar. Look to the right for events, and look below this section. There's a lot going on, and we don't want you to miss any of it. NEW! Discounts for members on products, subscriptions, software and more!! Sign up to receive FEJ information. On January 25 in Washington DC, SEJ and the Wilson Center presented the 7th annual Journalists' Guide to Energy and the Environment, where top reporters looked ahead at 2019's biggest stories to a packed house. Every presidential administration tries to influence the press — and sometimes can even stand in the way of reporters doing their jobs. But no previous administration has ever labeled reporters the “enemy of the people,” as President Trump has done, over and over again. From the U.S. EPA to Interior, SEJ has challenged government attempts to block press freedom; joined hundreds of other news organizations across the country to stand up to Trump’s bullying; confronted dozens of challenges to press freedom in recent years; and jumped in to defend journalists reporting on Standing Rock, photographers working in National Forests and publications awaiting FOIA requests. SEJ is proud to defend the crucial work of environmental reporters. With your continued support, we’ll keep speaking out in 2019. Read more and please give now. 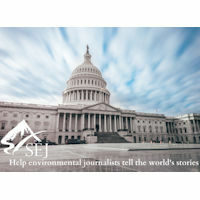 Deadline was April 1 to enter SEJ's 2019 contest, which includes a $10,000 cash prize for the Nina Mason Pulliam Award for Outstanding Environmental Reporting and a new Student Reporting category. To honor the "best of the best," first-place winners selected this year from SEJ's eight awards categories will be automatically entered into the Nina Mason Pulliam Award. Winners will be announced in August, or as soon as possible after judges have completed their deliberations. Sign up to receive announcements about the SEJ's awards contest. Environmental Journalism 2019 will take place in Fort Collins, Colorado, hosted by Colorado State University, October 9-13 2019. Colorado simultaneously boasts and suffers from a population explosion in Denver and other cities. This purple state is fertile ground for both clashes and collaborations among parties vying for rights to land, water and air, whether to preserve it for wildlife and human recreation or to exploit it for energy extraction. 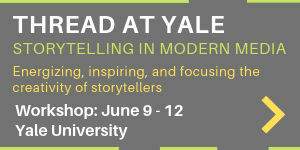 And it is fertile ground for stories! Read more about #SEJ2019 here. Sign up for conference information. Sign up for info on advertising, exhibiting and sponsoring.